Earlier this year, managers at a hatchery near Vancouver, Canada announced they had lost three years' worth of scallops -- 10 million animals -- to acidic ocean waters. They laid off staff and shut down a processing plant. 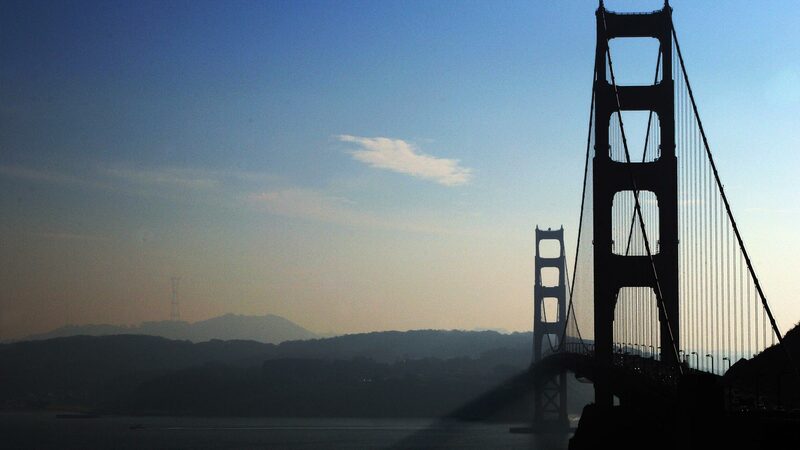 This was not the first time a West Coast shellfish hatchery lost stock to the phenomenon known as ocean acidification. "This has been happening at the hatcheries," said Richard Feely, a senior scientist at the National Oceanic and Atmospheric Administration. Feely studies the process by which carbon dioxide absorbed from the atmosphere gradually turns ocean waters more acidic. "When these corrosive waters get into the hatcheries of our shell-forming shellfish species, for example oyster larvae on the Washington, Oregon coast, they can kill the oyster larvae within two days," he said. Ocean acidification is worse off the West Coast than anywhere else in North America, and threatens animals up and down the food chain. Scientists are now studying how these corrosive waters are already affecting West Coast marine life. For instance, corrosive waters also dissolve the shells of tiny marine snails called pteropods, a favorite food of some salmon species. The dissolution in some cases happens when the animal is still alive. This matters not just if you happen to be a shellfish, or like to eat them -- or if you depend on fisheries for your livelihood. "You can see how this would permeate through the food chain," said Feely. "From the lowest levels of the food chain up to the highest level. Organisms that mankind really worries about." Not just salmon and shellfish, he said, but also seals, whales, seabirds and -- eventually -- us. Feely is leading NOAA’s effort to study the effects of ocean acidification, including what’s happening to pteropods. 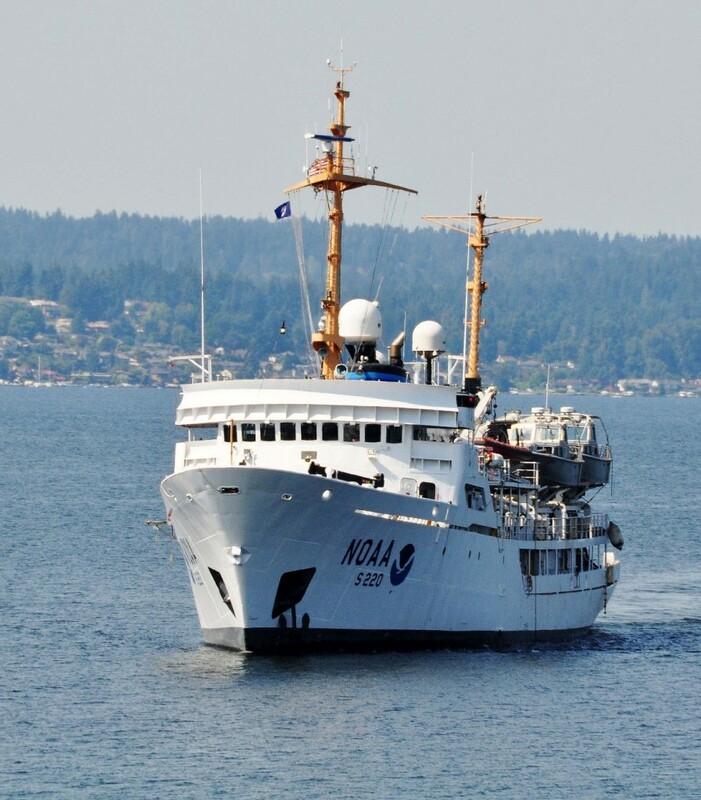 Since 2007, NOAA has periodically sent ships doing ocean acidification research up and down the West Coast. The ships bristle with scientific equipment, and researchers pack on board to conduct various studies. There was a research cruise last summer; the next one is scheduled for 2016. Here’s what’s going on. Humans release a lot of carbon dioxide by burning fossil fuels. Most of that CO2 goes up into the atmosphere and traps heat. That’s what’s contributing to climate change. The rest, about one-quarter of all anthropogenic CO2, gets absorbed by the ocean instead. For a while, Feely explained, scientists thought that was a good thing. The thinking went, if the ocean absorbed all that carbon dioxide, then it was keeping climate change from being that much worse. They don’t think that any more. "We’re beginning to see that this is a very serious problem," he said. That's because when the carbon dioxide goes into the ocean, it reacts with water to form carbonic acid (the stuff that gives mineral water its fizz). That sets off a chain of chemical reactions. The end result is, the pH of the oceans is changing, and the supply of calcium carbonate minerals, the stuff that shellfish use to build their shells, is decreasing. "We have been able to measure the change in the acidity of the oceans since the Pre-Industrial," Feely said. "It would be about 26% because of the uptake of carbon dioxide. This is what mankind has done." Since the Industrial Age began, he said, humans have dumped about 550 billion tons of carbon dioxide into the oceans. "And we can actually identify that this is manmade," he said, because the carbon atoms have a unique fingerprint that shows they come from burning fossil fuels. The reason ocean acidification is so bad here on the West Coast is, ironically, also why our coast is so rich with marine life: coastal upwelling. In the summer the wind shifts, Feely explained, and it pulls the water at the surface of the ocean away from shore. Then, water from deeper in the ocean rises up to replace it. That deep ocean water is full of stuff that decayed and sank. That means it's full of nutrients. And it has more carbon dioxide. "When you have the combined impact of CO2-rich water from the bottom and an additional anthropogenic CO2 from human kind, that combined impact is what has put us over the threshold for these corrosive waters to exist," said Feely. Ocean acidification has happened before in Earth’s history, but Feely said changes on the scale happening now took place over hundreds of thousands or even millions of years. Not a couple of centuries. "You’re asking the organisms to adapt to changes that are in many cases 10 to 100 times faster than anything they’ve seen in the geological past," he said. There are some small local solutions. Feely has helped oyster hatcheries monitor and prepare for more corrosive waters. And he says they could consider locating hatcheries near seagrass, which takes up carbon dioxide. But for the vast oceans, Feely is focused now on monitoring, so he can see the changes as they take place.